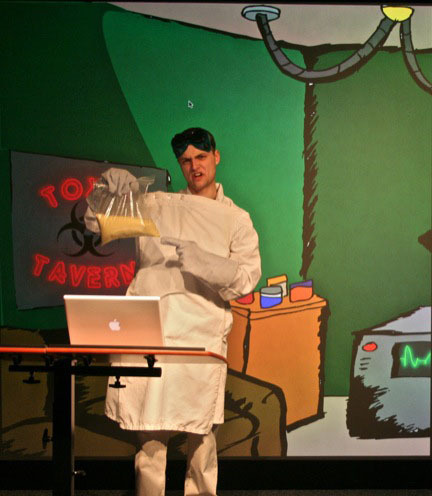 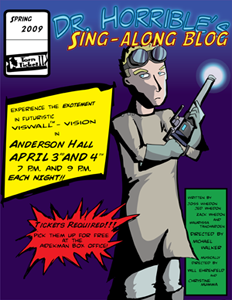 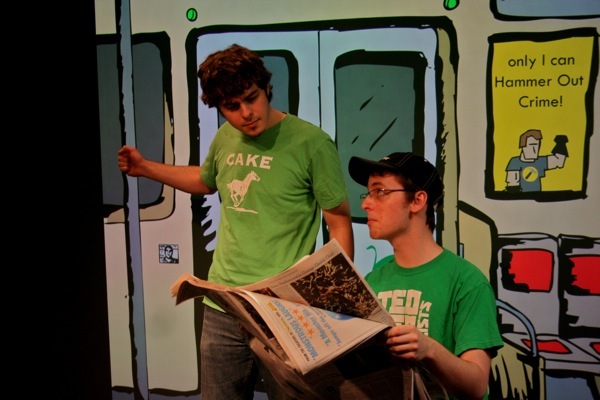 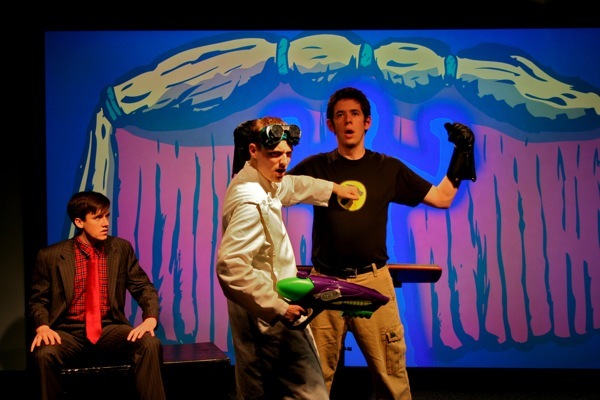 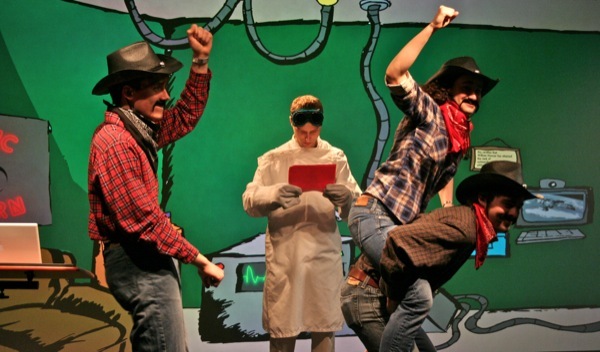 In the spring of 2009, I directed the first authorized stage adaptation of the cult internet musical Dr. Horrible's Sing-Along Blog. 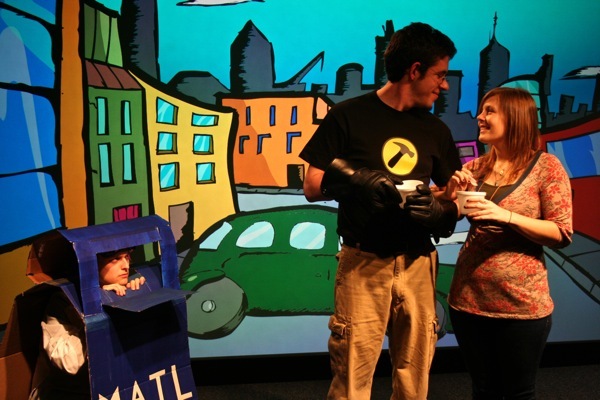 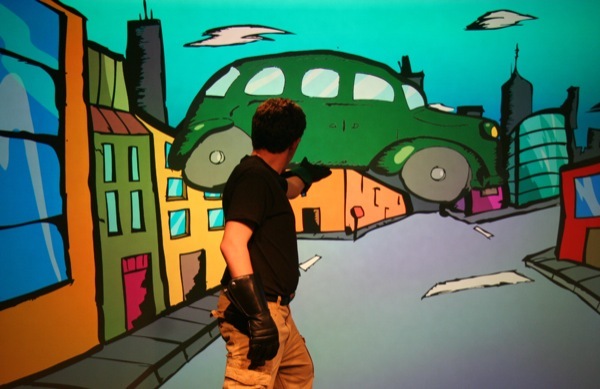 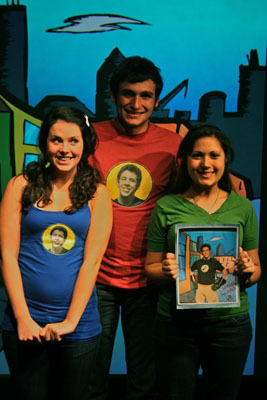 My production concept was to create a "real-life comic book", where live actors interacted with comic book-style sets to play up the show's campy superhero roots. 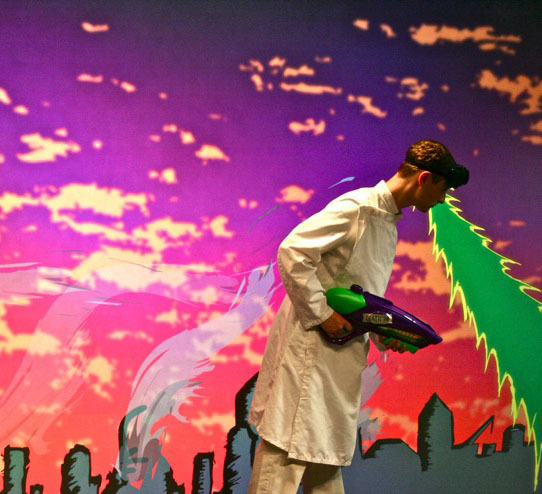 I collaborated with a graphic artist who created digital illustrated backdrops, props, and comic book-style special effects that were projected behind the actors using the Tufts Center for Scientific Visualization, a NSF-funded projection system at Tufts University.